MedEdits Medical Admissions is the nation’s leading medical school admissions consulting company. Founded and run by physicians, we advise students comprehensively through all stages of the premedical and medical admissions processes. All of our Professor level advisors are former medical school faculty who served on medical school and residency admissions committees, education committees, and hospital committees. We have a deep understanding of what it takes to gain acceptance to medical school, residency, and fellowship. Our students’ results are impressive. More than 94% of clients who worked with us comprehensively, on every step of the admissions process, are accepted to US allopathic medical schools. Similarly, 95% of clients applying for residency earned a match in their desired specialty – many at their #1 choice. We have helped hundreds of students from the United States and around the world achieve their goals. 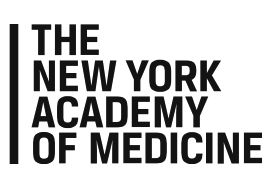 MedEdits faculty present at The New York Academy of Medicine. 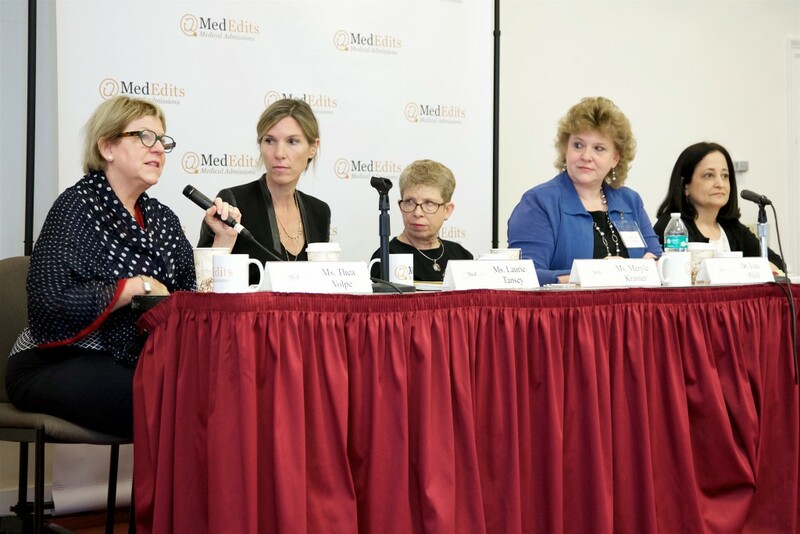 When Dr. Jessica Freedman, the founder of MedEdits Medical Admissions, was on faculty at the Icahn School of Medicine at Mount Sinai, she found great joy in advising and mentoring students and residents. This led her to leave Mount Sinai to launch MedEdits Medical Admissions in 2007. The demand for MedEdits services has grown during the past several years, leading to an expansion of our team, which now includes several experienced medical educators and physicians, all of whom have admissions experience, and a talented group of professional editors. MedEdits Medical Admissions is recognized for superior one-on-one advising and editing services, a track record of success, and a unique collaborative advising approach. Our team’s combined wisdom helps each student achieve the best results. Most of our clients now come to us by word of mouth, further evidence of our excellent reputation. Our message is far reaching. 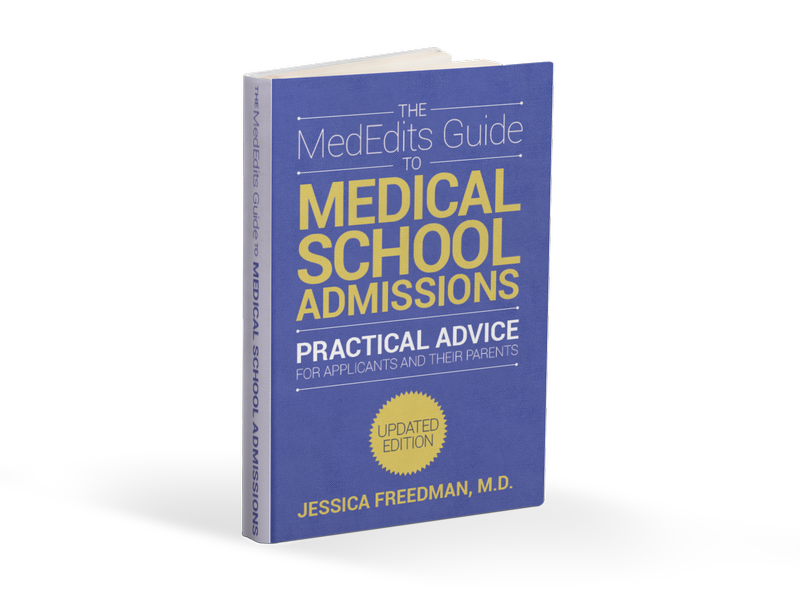 Dr. Freedman has written four best-selling books on the medical admissions process and has been quoted in many media outlets. We have more than 50,000 followers on Facebook and Twitter. Yet, we are committed to each and every student with whom we work, and our services are personalized and individually tailored. For more information, we encourage you to contact us. MedEdits has successfully helped hundreds of applicants through the medical school and residency admissions processes. Some are outstanding candidates while others are “borderline.” We give every student individualized guidance based on his or her situation and background. This year, more than 50,000 students applied to allopathic (MD) medical schools in the United States. Fewer than half of these students will be accepted to medical school. By working with MedEdits, you can join our successful group of students; a remarkable 94% of MedEdits students who work with us on every part of the admissions process are accepted to allopathic medical schools in the United States. The vast majority (95%) of residency applicants who work with us comprehensively match in the specialty of their choice. Many match at their #1 choice. This doesn’t mean we can work miracles, but it does mean that we can help students to devise a strategy that will make them the most competitive applicants possible. MedEdits’ expertise and a well developed plan can yield phenomenal results. Dr. Freedman served on faculty at the Icahn School of Medicine at Mount Sinai where she worked in both residency leadership and served on the medical school admissions committee. She also worked at Elmhurst Hospital in Queens, New York, a major affiliate of Mount Sinai, with international medical graduates and Caribbean medical students. She has conducted hundreds of interviews and reviewed thousands of applications. MedEdits consultants are all experienced academic faculty medical educators with admissions experience who pride themselves in providing support to, and working with, students. All of our premier consultants have served on medical admissions committees for at least five years and have made pivotal decisions about applicants’ fates. Dr. Jessica Freedman has hand selected each consultant to ensure that he or she upholds MedEdits ideals by offering the most up to date guidance, based on knowledge and experience, with professionalism and warmth. All of our consultants are experienced medical educators. Our team is exceptional. It may be a cliché, but with regard to medical admissions counseling you do get what you pay for; be wary of working with an individual or company with less experience; doing so may result in inferior service. No one in the industry has our breadth and depth of experience and insight. By working with MedEdits, you can be confident that you are giving your application to medical school, residency or fellowship your absolute best shot. Partnering with our top-notch group of professionals is an investment in your future – so do your homework and choose wisely! Every year we work with students who either weren’t accepted to medical school or could have had better results or didn’t get a residency because they chose to work with other individuals or companies who had less experience or because they chose to navigate this complicated process on their own. Don’t make this mistake. MedEdits offers one-on-one individualized guidance and coaching. When clients start working with MedEdits, they complete a detailed questionnaire which allows us to obtain a thorough applicant history. This offers us a comprehensive picture of the client’s ideals and insights so we can then guide the client to create more compelling and thoughtful documents — a key to success. Flexibility: Every student has his or her own story. We’ll work with you. We offer many different med school admissions consulting services depending on each client’s needs. Applicants can choose to work with us on a short or long term basis and we provide services at multiple price points. A professional MedEdits’ senior editor reviews every document submitted to MedEdits. MedEdits’ unique essay coaching and substantive editing process allows you to bring out the best of your candidacy in your own words and style. With our proven essay coaching techniques, we will ask thought provoking questions that will help you to think of ideas and insights that you probably wouldn’t have thought of on your own. This allows you to create documents that will distinguish you, making the admissions officer interested and curious to learn more about your candidacy. We never write documents on behalf of clients, but we will inspire you to write to the best of your ability and in the most compelling fashion possible. Because each MedEdits consultant and professional medical editor has a unique set of experiences, clients benefit from our pool of expertise. The medical admissions process has many nuances, and our team of experts are from different geographic areas and have worked at many outstanding medical schools throughout the country. We collaborate frequently, and this team philosophy offers a greater benefit to the applicant than if we each worked alone and in a vacuum. Our team, as a whole, takes great pride in the work we do, and this applicant-centered view defines our commitment to the clients we serve. At MedEdits Medical Admissions, the nation’s best medical school admissions advisors, we are fully devoted to our clients and are not distracted by outside commitments. Dr. Jessica Freedman, our company’s founder, coordinates the work of all members of our team and we collaborate as a faculty. We attend the annual Association of American Medical Colleges meeting and read the academic medicine literature to stay up to date with the most recent statistics and data. This allows us to serve as a cutting edge resource. We also have regularly scheduled MedEdits faculty meetings to discuss students and trends in medical education. We hold ourselves to high ethical standards and maintain confidentiality. MedEdits represents only your interests and will not manipulate our guidance or data to positively influence MedEdits’ outcomes or success rates. We are honest and will always offer straight forward guidance. MedEdits will not write your documents. We will coach you to put forward your absolute best work that you can call your own.